There are sentences that should never be followed by the word “but”. The sentence, “… we are not at war with all (or even most) Muslims.”, is most certainly one of them. This sentence appears in a conversation Sam Harris had with Maajid Nawaz. The whole text can be found in the book Islam and the Future of Tolerance. 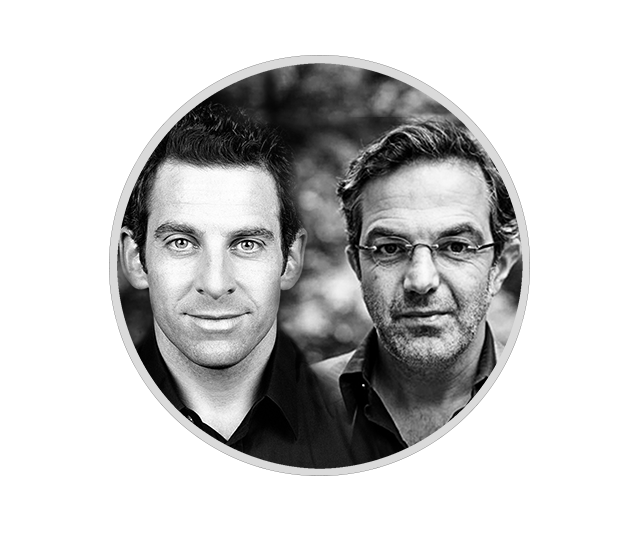 It is an attempt at a dialogue between the rational and enlightened West, represented by Sam Harris, and Islam, represented by Maajid Nawaz. So, here is Sam’s argument. It all starts with equating Islam with its sacred text, the Quran. Sam thinks that if you want to know about Islam, all you have to do is to pick up the Quran and read it. Having done that, Sam sees a fundamental problem. The text lends support to all the violent excesses, that are associated with radical Islam, and thus, Sam thinks, every Muslim faces a binary choice: either be intellectually dishonest and ignore parts of the text or become a radical. Fraud or fighter, those are the choices. Fraud or fighter, those are the choices. In the same volume that these quotes are taken from we can also find the replies of Maajid Nawaz. Instead of giving his answers, although they are interesting, I am going to focus on Navid Kermani, a German author born to Iranian parents. His writing is in German and very little of his work has been translated into English. Navid is well known in Germany, his books are widely read, and his work has been recognised with the prestigious Friedenspreis des Deutschen Buchhandels (Peace prize of German book dealers). In order to make this claim, Sam sneaks in an assumption. He has to equate the faith with what is written in the Quran. Navid’s point is that this precisely wrong. You must not reduce Islam to the Quran. For many subjects it is a good idea to focus on the basic texts. In the sciences it is true that you can know almost anything about a subject if you just study the basic texts. Start with a book on Newtonian mechanics, proceed to electrodynamics, add some quantum mechanics, and, soon enough, you can call yourself a physicist. Sam approaches religion in much the same way. Read the basic texts, do it with some diligence, keep an open mind, and you’ll know about the religion. Navid disagrees. His point is that a faith is about the faithful. He points beyond the library and highlights the importance of the people that actually practice the faith. Faith is what the faithful do. It is important that large communities of Muslims ignore those parts of the Quran that Sam Harris is focusing on. The act of ignoring these parts in their sermons, in their teachings, and in their actions is part of the faith. It is a part that is no less important than what is written in the Quran. The conclusion that Sam seems to be so proud of, namely that moderation can only come from outside the faith, only works because his boundaries of the faith are far too narrow. To paraphrase Daniel Dannett, Sam’s fellow atheist, if you only make faith small enough, you can externalise anything. If you want to make civilisations clash, this is a great way of achieving it. Dialogue is welcome and important but it matters how the dialogue is framed. Sam starts with the proclamation that Muslims can either be liars or extremists. Given this conclusion, he thinks that we have to convince Muslims to be liars. Few Muslims will want to join a discussion on these terms. Sam will notice this reticence and take it as a sign that Muslims, as a whole, are not willing to look at their faith critically and join an open and fair discussion. If you want to make civilisations clash, this is a great way of achieving it. One side is convinced, it has made a rational argument and extended a hand, while the other side is offended before a discussion even got started. The clash is inevitable. Fortunately for us, it does not have to be this way. The argument, that let Sam to pose his question the way he did, was flawed. It rested on an understanding of faith, that was entirely too narrow. A faith is more than its sacred text and if he were to engage with actual followers of the faith, he would know that. So, no, we are not at war with the Muslim world and there is no „but“ required. The Clash of Civilisations was attacked from both the modern left and right, from the liberals and the neocons, which more than anything displayed how deep the political consensus ran in the post Cold War world. That is true. Nobody wants the clash, and many have argued against it. What I was hoping to point out was, that you can take steps in the direction of the clash even if you explicitly don’t want to. I really think that Sam Harris is interested in a dialogue. The way he goes about it, though, makes for a bad starting point.